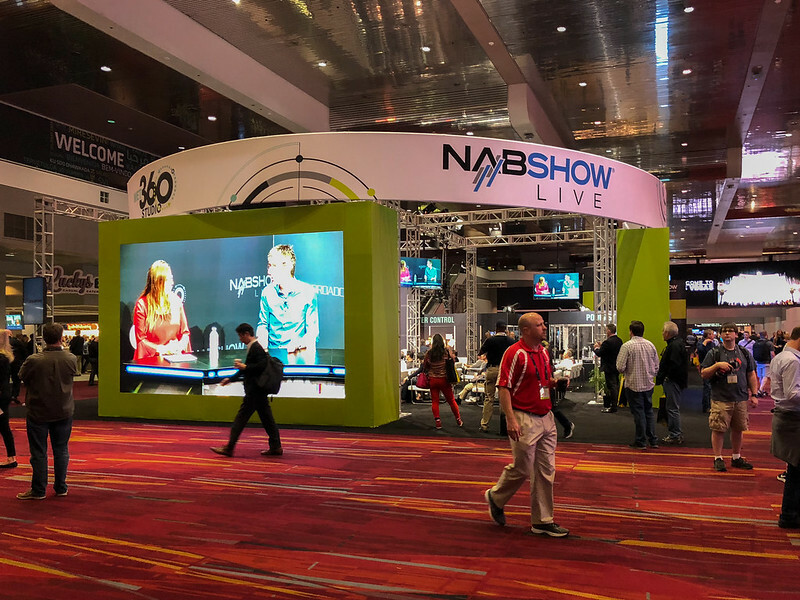 In April I took a trip out to Las Vegas for the annual National Association of Broadcasters conference. I’ve been attending this show since the 1990s, when it served as the focal point for a transition from analog tape to Digital Video systems. 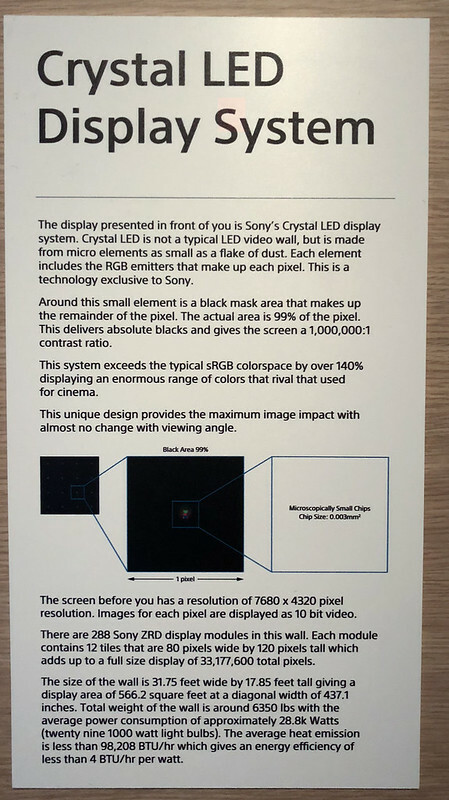 The Crystal Laser at Sony’s booth was a real star of the show. (See attached wall placard.). 140% of the gamut of sRGB and amazing, seamless size. I have no idea about the cost. But interesting that they were able to assemble it temporarily in this space — maybe it rolls up? Turns out this is mostly used for professional Color Grading in apps such as Final Cut Pro X, DaVinci Resolve, and Sony’s own RAW video editor. 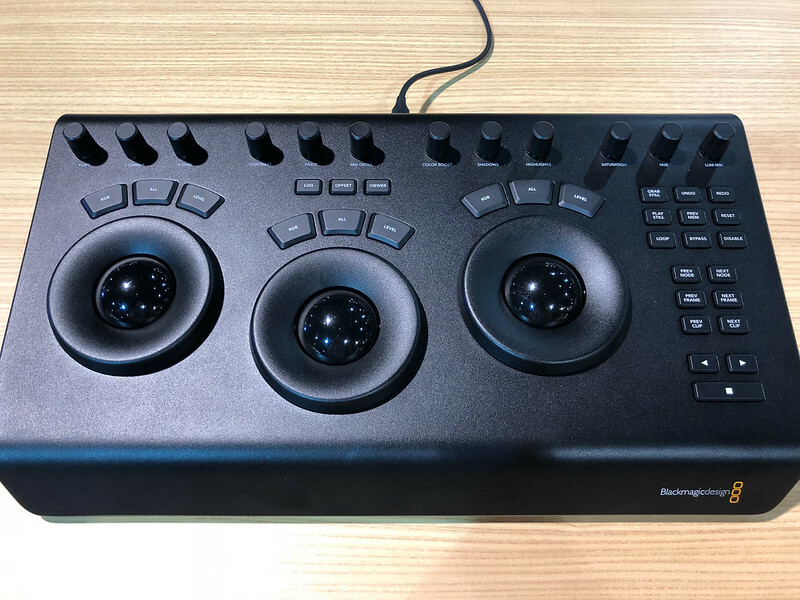 BlackMagic has a page on how these panels are used in their software. 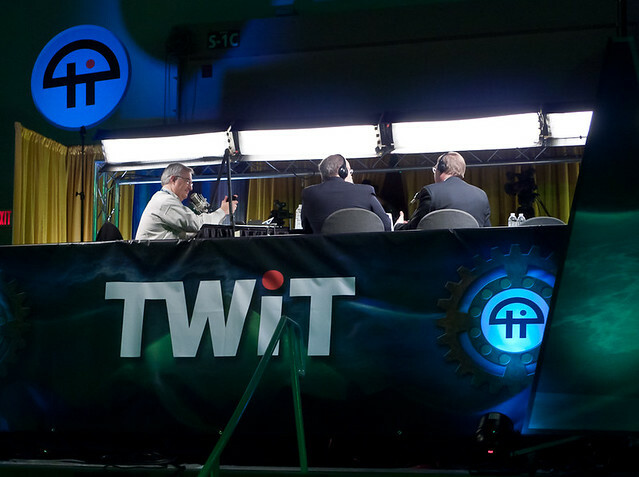 Up until last year NAB had partnered with TWIT.tv, Leo Laporte’s podcasting network, to do daily video summaries of the show and interviews with experts and sales reps. 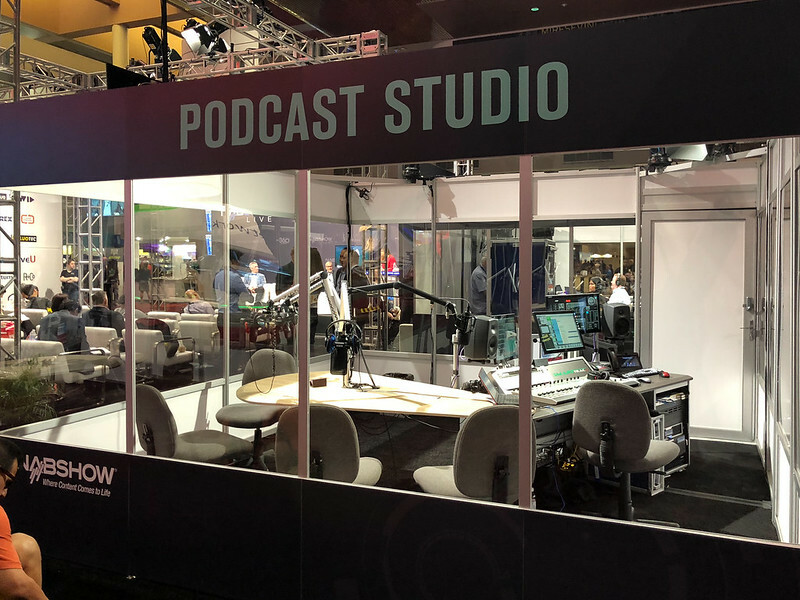 This year, NAB in-sourced their social media in this regard by building their own PodCasting Booth and video stage, both in much more central locations than before. With this arrangement, they lose the computer-focused star power of Leo and the TWIT network, but de-couple themselves from a particular media outlet and establish their name and logo in a neutral space that positions informal social media such as vlogging, youtube and video-podcasting as a peer to traditional broadcast. 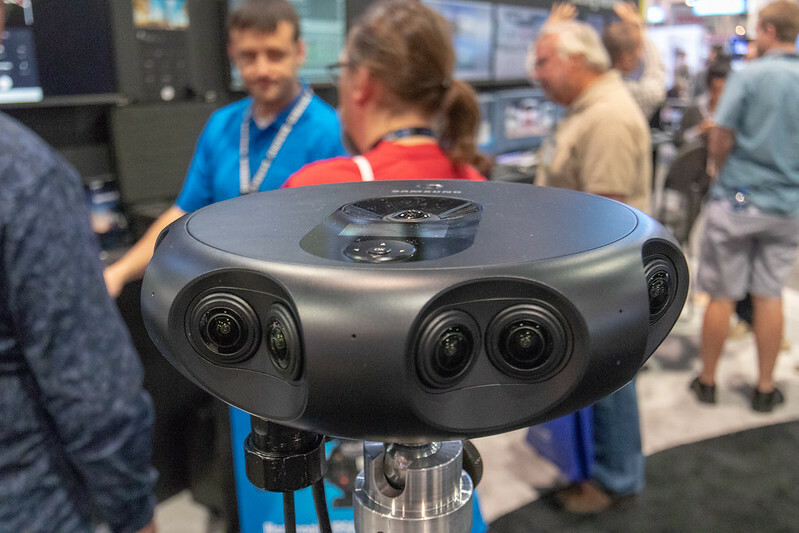 A slew of vendors are bringing down the cost for 360° video down from the heights we’ve seen in the last few years. Whereas Nokia’s 201[6?] camera cost $$$$, now we’re seeing human-eyes’ VUZE device offer eight 180° cameras arrayed around a small frisbee for $1,200. 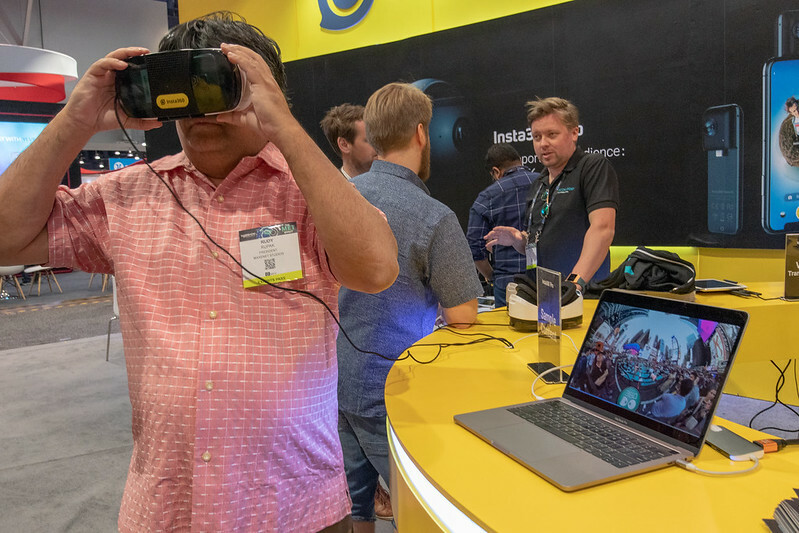 And Insta360 makes products from small clip-ons to iPhone lighting ports to GoPro-sized devices designed to mount on top of a snowboarding helmet. Naturally, the fact that it’s 2018 and live streaming (on specific platforms such as FaceBook Live and Instagram) is such a big deal, affects these products and how they are pitched. 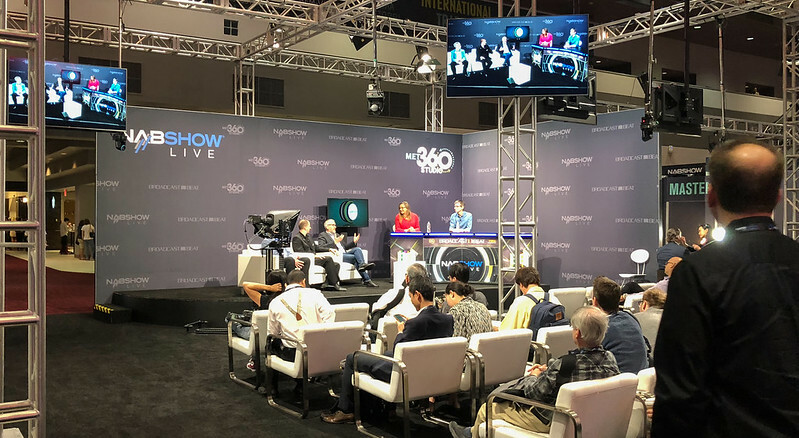 This is a level of consumerized optimization never before seen at NAB; live streaming in 360° by amateurs is driving this market in ways that were never true for the shift from Beta to DV, for example. 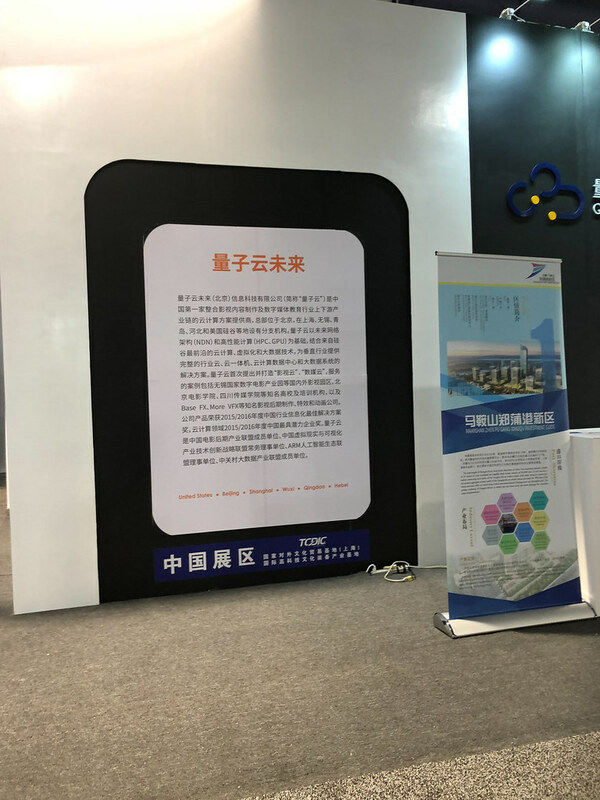 This can make it tough to evaluate this equipment for academic purposes… none of the companies’ products are targeting the academy, museums, or anything of the like. Rather the market is skipping directly to the volume consumers who will drive a level of tech adoption that gets prices down fast. This is not to say there’s a lack of sophistication about the products. 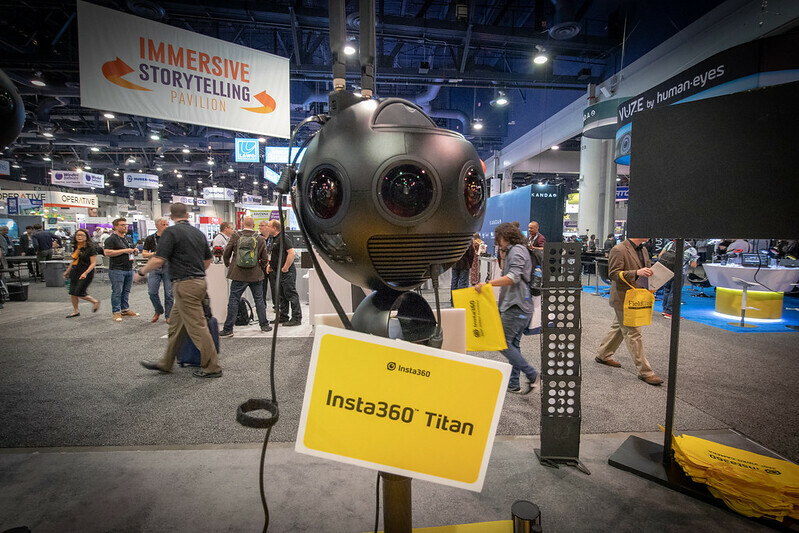 Insta360, for example, is doing cutting-edge frame analysis to smooth out bumpy 360° video garnered from dirt bikers, joggers, and other not-so-stable sources. I believe this is happening during the processing/export process currently, but it can’t be long before gyroscopes in the camera itself lend valuable signal to the task and this begins to happen on the capture device itself. HP’s newly-revised “Z” line of professional x86 workstations was the system of choice for nearly everything which didn’t have an iMac Pro. This series of machines competes with Lenovo ThinkStations. My theory as to why they were so ubiquitous is that they’ve been aggressive in integrating new tech developments such as Thunderbolt/USB3, X299, and other features important to the anyone who processes lots of data. Lenovo has been slower. 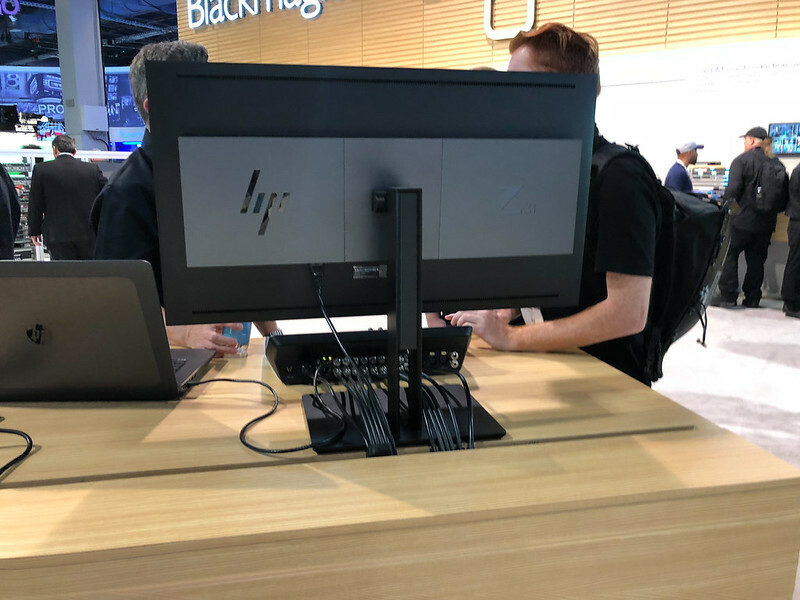 Also, they have an “all-in-one” model in their professional Z line, which Lenovo does not — and AIO’s are much easier to setup on trade floors. Apple has a long history at NAB (see my blog post here [http://www.thegogglesdonothing.com/archives/2011/04/appleatnab_1999-2011.shtml]). 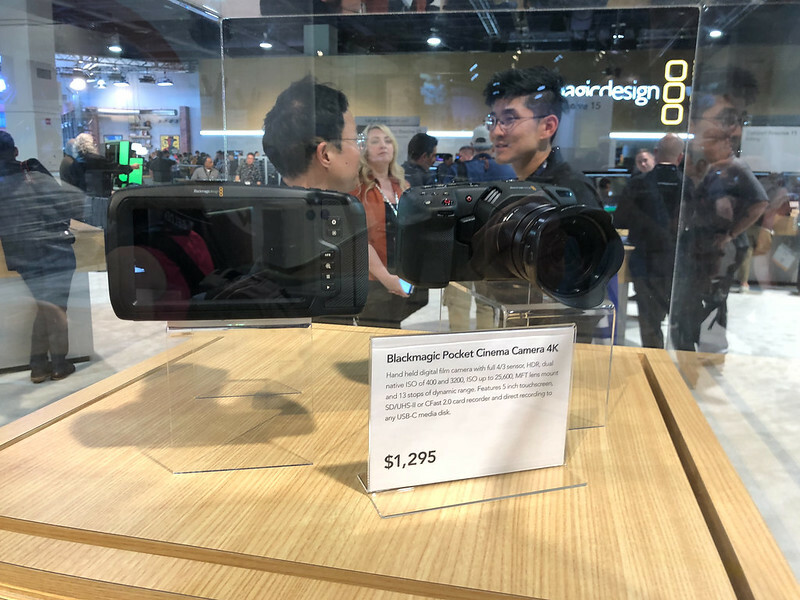 This year they announced several improvements to Final Cut X at an event just before the show, but didn’t have a booth on the show floor as they used to have in the late 1990s/early 2000s. 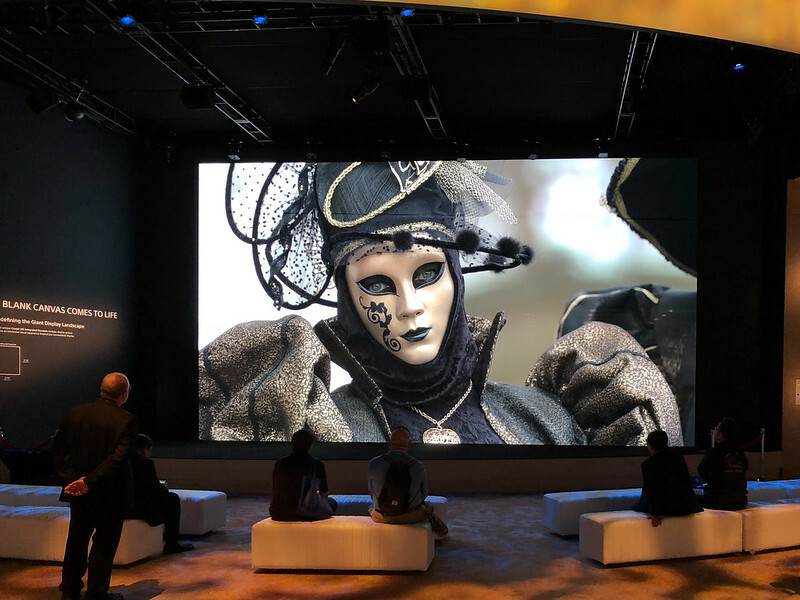 Despite that, the distinctive dark color of the iMac Pro was everywhere on the show floor, including giants such as Sony which used to make their own Intel PCs. 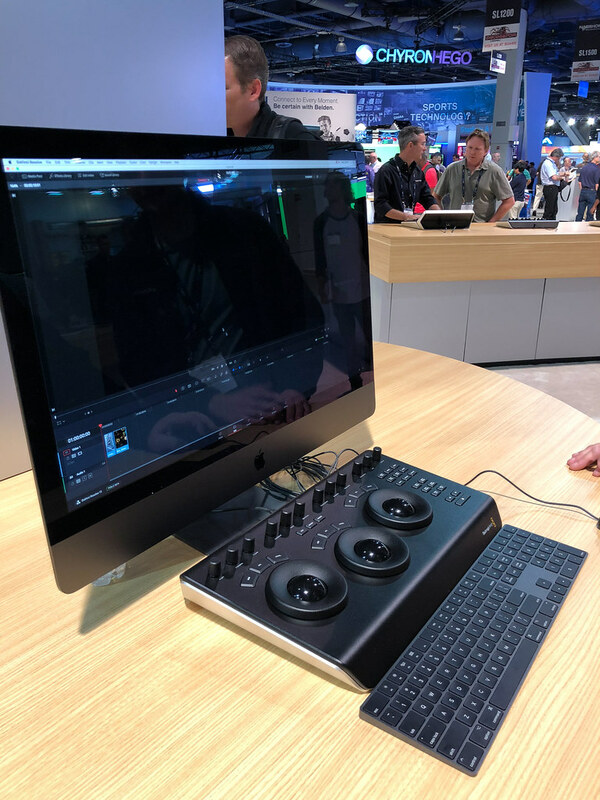 Some large booths, such as BlackMagic, seemed to use iMac Pro’s almost exclusively as their demo machines. This makes sense, in a way — they’re much faster than the 2012 (round) Mac Pro, and don’t require bulky external monitors and cables. 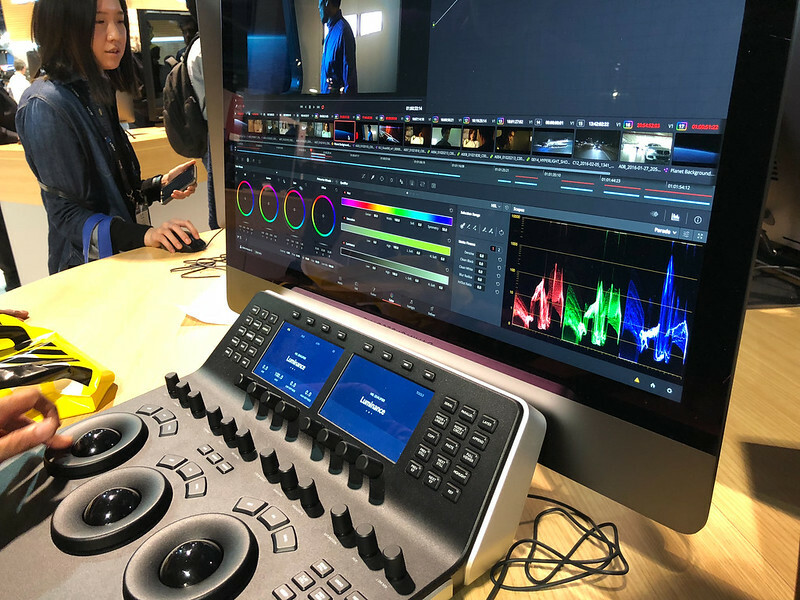 With so much of the show focused on 4k and 8k, the iMac Pro’s built-in 5k (and P3 color gamut) Retina display seemed like the new ‘table stakes’ for showing editing and color grading. 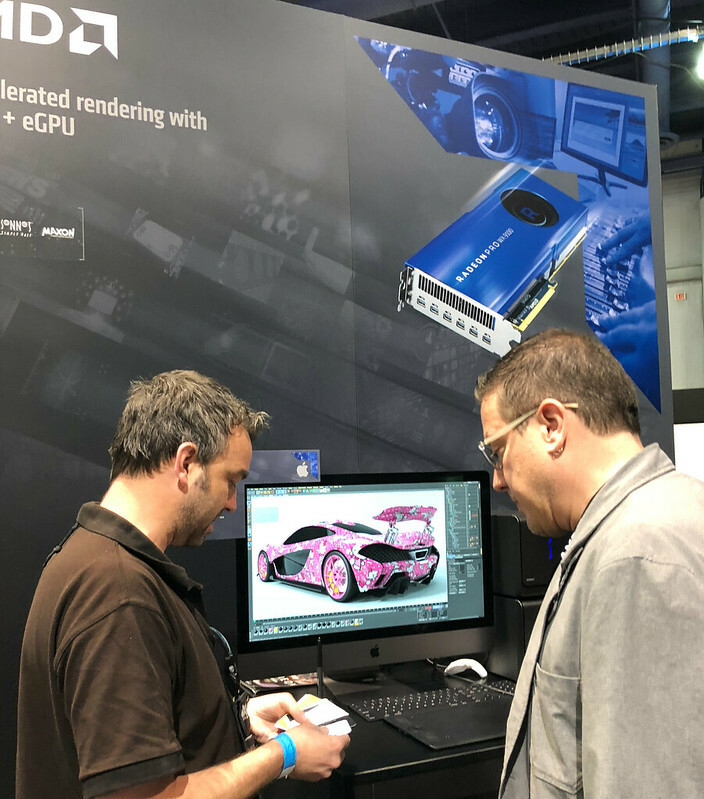 Some tech companies have been at the NAB show for over twenty years — impressive when you consider that the intersection of computing and video only began in earnest with the onset of 1394/FireWire. 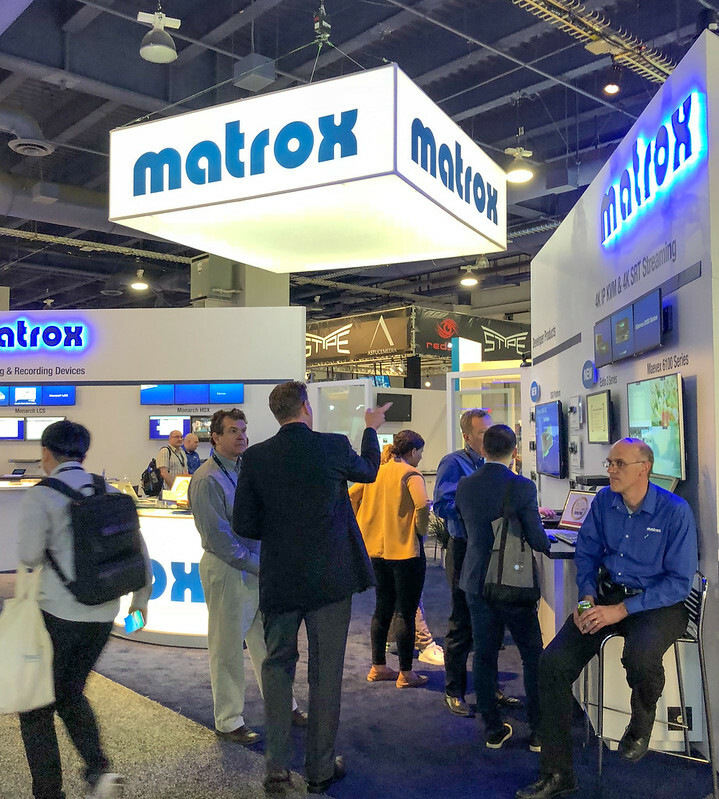 As the wikipedia article notes, Matrox has migrated towards the professional market — shows such as NAB highlight the industry-specific markets that the company now focusses on, versus earlier products such as the Matrox Millennium card. Alongside nostalgia for late-1990s video cards, NAB also offered a glimpse of the future, where computer algorithms analyze millions of frames of video to achieve business and monetization goals. 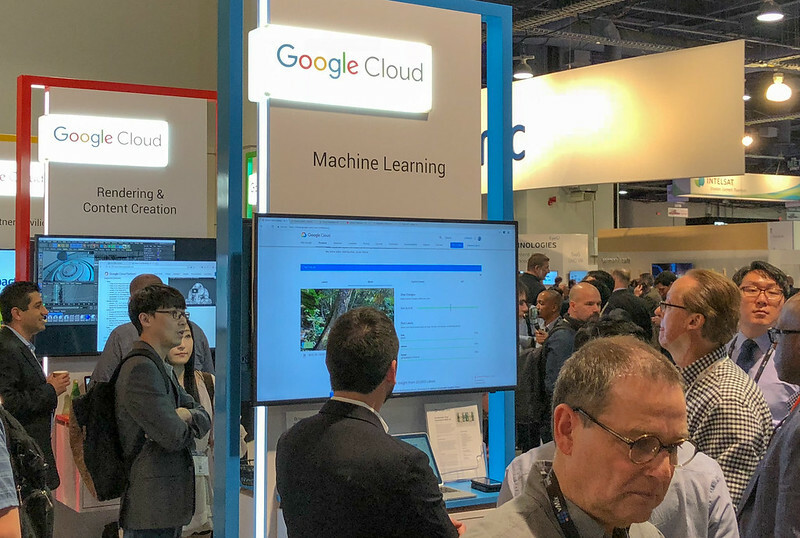 Google and Amazon had booths this year, together with a variety of smaller players who focus on specific broadcast verticals such as live sports. Athenas Owl, above, showed their (nearly) real-time computer vision system for video. 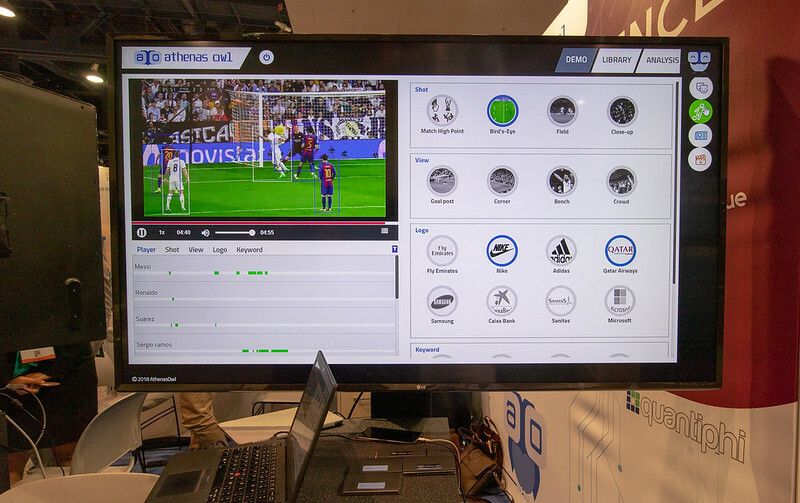 The use case was European football, where a team owner, sponsor, or stadium manager can tell how long a given logo has been on the screen for the duration of a match, or a player on the field, etc. [picture] Seems like they are using pre-trained networks for most stuff and have specialized training data for specific company logos, etc. 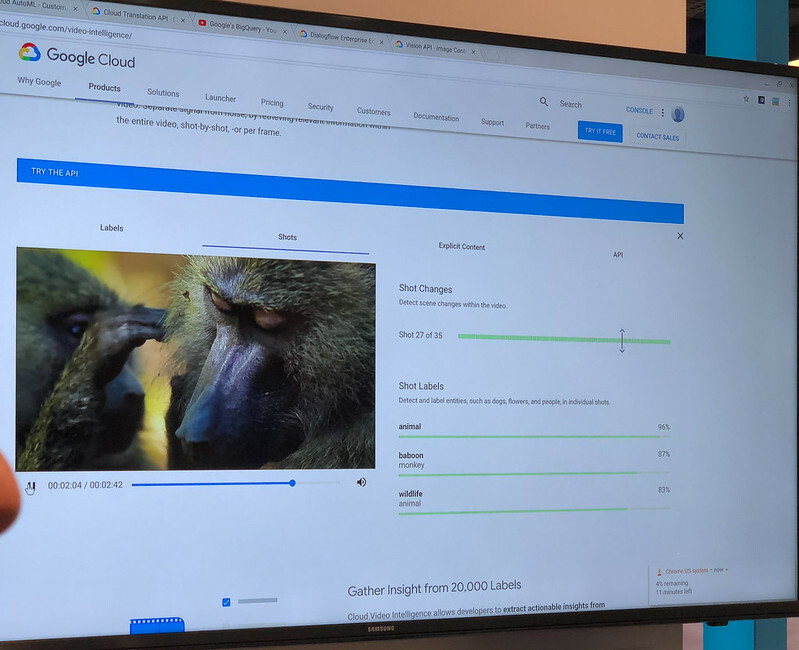 Google highlighted their machine vision work on video, showing use cases of scene detection, object labeling, and other video analysis features running on their cloud. 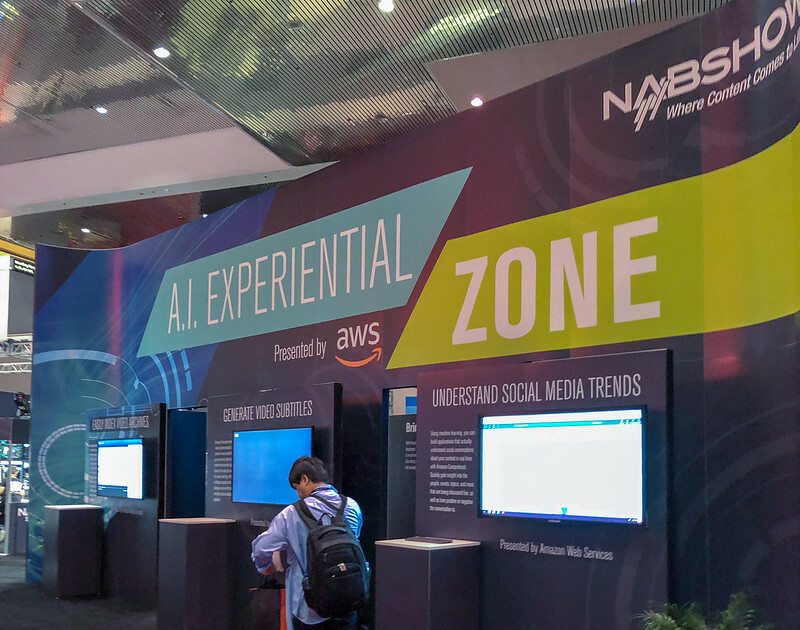 Amazon’s AWS division set up a special “AI Experiential zone” booth outside the exhibit hall. 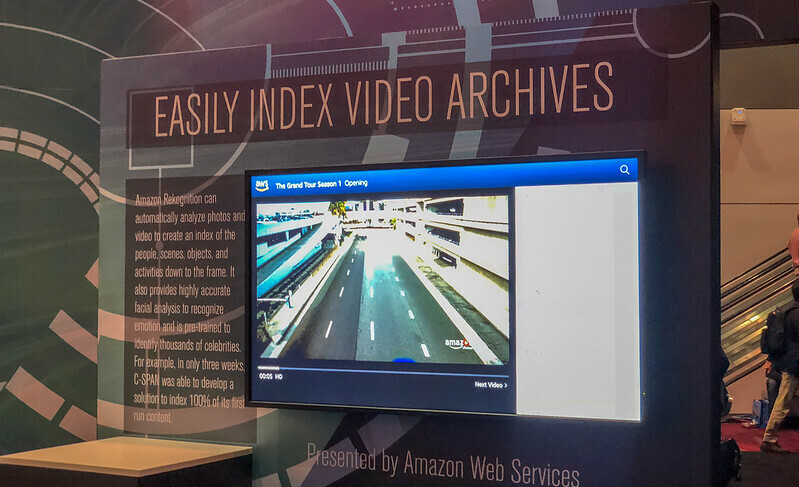 Even those without Exhibit Passes could see what Bezos’ team had on offer. 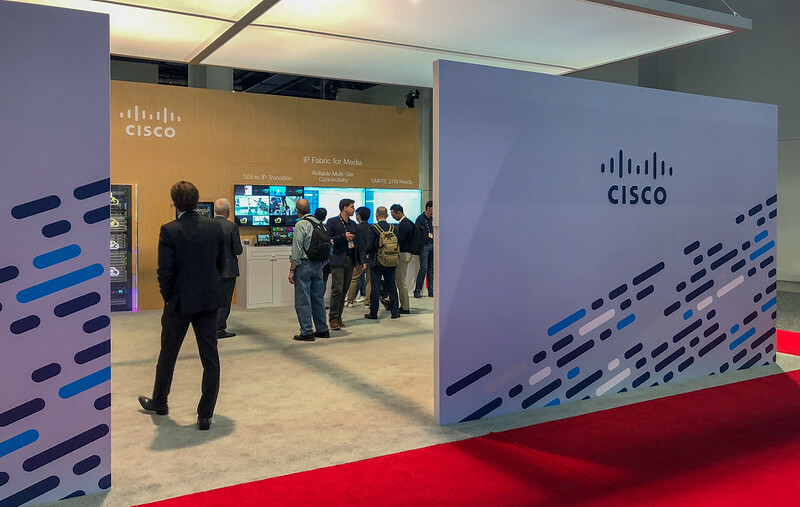 Cisco’s presence at the show highlighted how video has become just another series of 1s and 0s that can be routed over IP networks. The seeds of the DV revolution were planted in the late 1990s, with the explosive growth of 1394/FireWire as the first mass-market interconnect for near-broadcast-quality video. 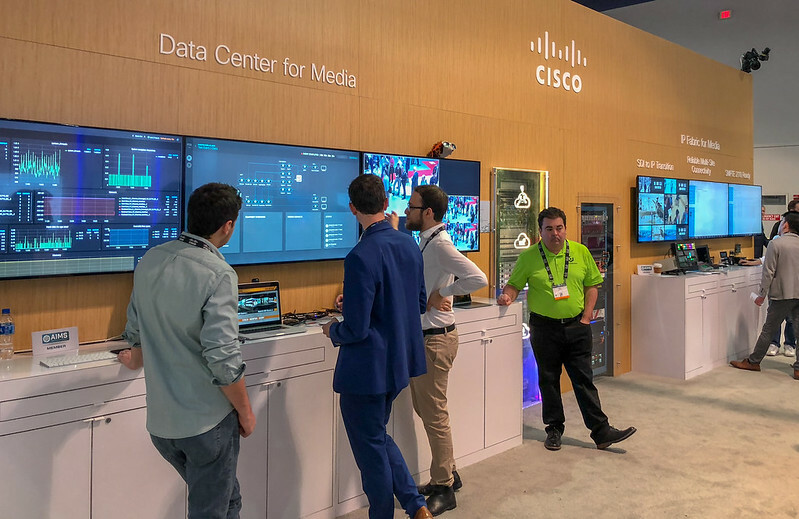 But a glimpse at the video-centric networking tech on offer in 2018 shows how the video data transmission has migrated from local interconnects (FireWire) to LAN architectures (Cat7e, Fibre).